Partly cloudy skies this evening will give way to occasional showers overnight. Low 52F. Winds W at 10 to 15 mph. Chance of rain 80%.. Partly cloudy skies this evening will give way to occasional showers overnight. Low 52F. Winds W at 10 to 15 mph. Chance of rain 80%. Lakeview boys soccer returned to the field after having its conference tournament canceled in a 10-0, 72-minute loss Tuesday at Wilderness Park. 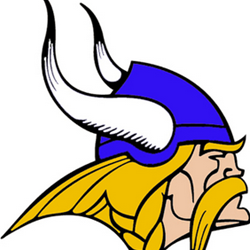 The Vikings won their first match of the season in a 2-2 (4-3 shootout) win over Seward last week in what was a play-in game to the Central Conference tournament. They were set to take on Grand Island Northwest two days later before lingering winter weather forced athletic directors to cancel the event. Lakeview was back in action for the first time since a 3-0 defeat to York on Tuesday but again came up empty on the offensive end. The No. 4-ranked Cardinals scored six in the first half and ended it early on the Mercy Rule. "We knew going in it was going to be a hard game given Crete's record," coach Joe Madden said. "Pushing up and trying the offside trap had helped us the last few games, but Crete times their runs so well that didn't help us as much."